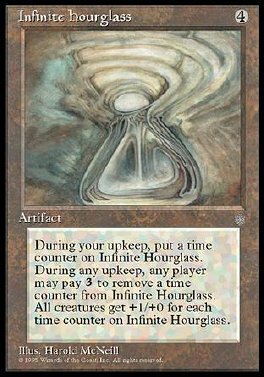 At the beginning of your upkeep, put a time counter on Infinite Hourglass. All creatures get +1/+0 for each time counter on Infinite Hourglass. 3: Remove a time counter from Infinite Hourglass. Any player may play this ability but only during any upkeep step.